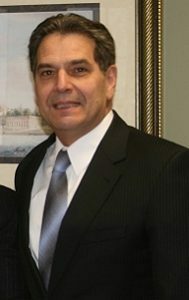 Law Offices of Philip C. Puglisi Esq. Divorce and family law related issues present some of the most difficult ones we as humans can encounter in our lives. I understand that. As such, when I undertake your representation, a unique team relationship is created with a truly one on one approach and handle your matter from start to finish – not an associate or another individual. Often we hear about businesses claiming that the customer or client comes first, only to see that claim as an illusion. Not so at this office! I have over 34 years of legal experience in the family law area, handling cases from the very complex to the straight forward. This extensive experience has fortunately conferred upon me being considered as one of Bergen County’s top rated family and matrimonial law attorneys. You need to decide what you would like to do. Are you ready to begin the divorce process? There are several different approaches: Try mediation? File for divorce at the outset? Go the collaborative divorce route? These appraches are summarized on this site. Why not also schedule a free 1/2 hour consult with me so I can explain in detail these different avenues and strategies. Don’t sit in limbo. Take some type of action even if only to discuss your rights and options upon separation or divorce. WHY SHOULD YOU LET ME REPRESENT YOU? Realistically, there are a huge number of family and matrimonial lawyers to choose from in the Bergen County – North Jersey area. So, why come to my office in Wyckoff, NJ? Well, its not only my near 35 years of experience handling matrimonial and family law cases, my practice is founded upon the highest standards of integrity, trust ,openness and the dignity of each individual. Each person’s case is unique, and I bring to bear upon it all the talent, skill and diligence each individual deserves. Your divorce – or any issue involving alimony, custody, child support, property division, domestic violence, and post divorce issues can be one of the most emotionally devastating and trying times of your life. The last thing you need is additional stress due to having chosen the wrong lawyer to represent you. I do everything I can to ensure you will be as comfortable and secure as the circumstances permit, and your well being maximized..
Handling Cases in Bergen County, Passaic County, Morris County and all of North Jersey…..